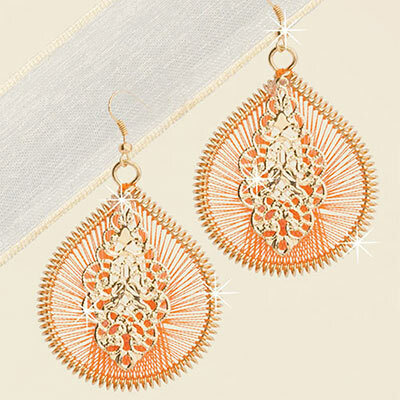 Sure to become your favorite! 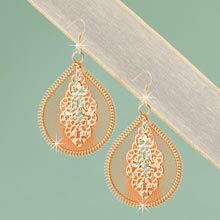 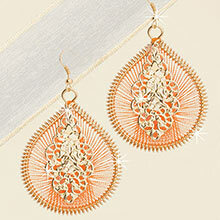 Filigree gold-tone medallions sit atop silky peach threads woven to create these marvelous handcrafted earrings. 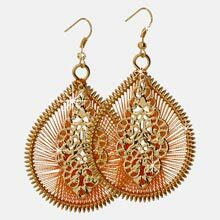 Gold-tone base. 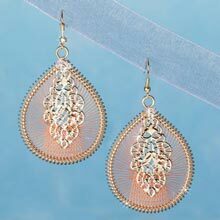 French wires, 3"l.